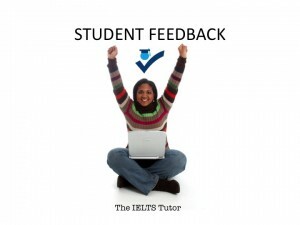 Click below to see what over 100 happy students say about my lessons! Leave your feedback in the Comment Box below! It’s a very practical and direct lecture to improve your English! Besides learning IELTS skills, her advice was always useful to find my mistakes that I couldn’t even recognize, and correct them in easy way! She is very professional. She analyzed my strengths and weakness every time, and gave me a useful advice about how to improve them. Absolutely, my Speaking has improved. I highly recommend her. As a former examiner, Rotizah is a profressional tutor who can definitely guide you to the score you aimed for. Her advices, well-planned lessons and patience are benefical to me which help to improve my skill. Rozitah gave a very complete break down of my strengths and weaknesses based upon the grading criteria. This is very useful in knowing how to prepare for the IELTS exam. I now understand what I need to do in order to obtain my target score. Thanks Rozitah!!! After studying with Rozitah for three months I can finally get my desired IELTS band score of 7 in both writing and speaking. I took several tests before joining her class so I was quite familiar with the IELTS format but I failed to recognize my weaknesses and didn’t know the right way to achieve high score. Rozitah has helped me by pointing out my weakness in speaking which was Pronunciation and after studying with her I have more confident and my speaking score has improved from 6 to 7. I highly recommend her class especially the Speaking module. There were a few connection problems during the class but that was from my side so make sure you have a stable internet. Anyway I appreciate that she gave a trial lesson for us. Keep practising and good luck with your IELTS exam ! As a former examiner, Rozitah is professional and she knows the assessment criteria very well… Recently, I got a band 7.5 in writing as well as 8 in speaking which helped me to get an overall band 8.5. It is of great importance to get proper guidance otherwise I would not be able to get a high score. I was very pleased to work with Rozitah. Her sessions are well-structured and very informative, and yet very easy to follow and understand. While working with her, I learned some tricks and hints that helped me to fully concentrate on the examiner’s questions and answer them properly, providing as much valuable information as I can. 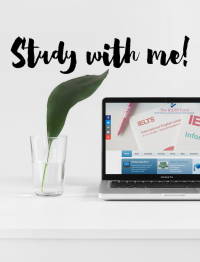 I also learned how to minimize the stress level while talking with the examiner, as well as dos and don’ts of the IELTS speaking section in general. As the result, I’ve got 8.5 on the speaking part!